Applicants for admission to the MA, MPA, and PhD programs must submit scores from the Graduate Record Examination (GRE) general test. All materials must be received by the Graduate School by their regular deadlines, which are July 1 for the fall semester, and October 15 for the spring semester. Note, however, that if you want to be considered for funding, all materials must be received in the Graduate School by February 15 to receive full consideration.  Graduate Teaching Assistantships (GTAs) are available through the Department on a competitive basis for PhD students, or, very rarely, for exceptional MA or MPA students. All new applicants will automatically be considered for funding. Most GTA positions are awarded beginning in the fall term. International students who are awarded GTA positions should be aware that they must enroll in the International Teaching Assistant Program (ITAP) and pass a proficiency exam before teaching their own courses. They must pass this exam by the end of the summer following their second year of funding or risk loss of funding.